Framebuilding is now carried out by Journeyman frame builder Paul Gibson, who started his apprenticeship with Ellis Briggs back in 2000, under the watchful eye of Andrew Puodziunas. Andrew passed away in 2014 and was sadly missed by all at Ellis Briggs but his ethos and his methods in the framebuilding department lives on to this day. Paul’s passion for cycling has never abated in 18 years, in fact he’s only truly happy when he’s building bicycle frames. Now that the framebuilding side is at the forefront of what we do, you will find Paul working on frames in our open plan workshop, most days of the week. If you’d like to learn more about frame building and you want to get hands on with the process and build your own frame, Paul is now offering frame building courses. Our framebuilding records haven’t survived from our very early days, but we have been building frames since the shop opened in the mid 30s. On our early frames we just offered one lug design and built frames to the customers specification with their choice of colour and finish. We have a consistent frame numbering system which have used throughout our history. All our handbuilt frames have a four digit number stamped into the bottom bracket shell and the fork column. In the first few years after the war and due to lack of raw materials, at least half the frames we built were “Sif Bronze” welded (or fillet brazed as is the common term now). However once materials became more readily available we first developed our Superbe model in 1947 and then later our International model which had more cut outs in the lugs. Our Superbe and International lug set was made using a fly press to cut our design out of plain lugs. Then the lugs were filed by hand to meet standard. We also began to produce 2 other models, the Competition and the All-Rounder. In the early 50s we experimented with some frames with very short chainstays. One style featured a split seat tube and the other had a special bottom bracket lug which mounted the seat tube further up down tube, again to give rear wheel clearance. These frames weren’t a success for us and consequently are very rare. In the 1960’s we started to use Nervex lugs. Our International frame still had our own design of lugs which we cut in our own workshop, however our Superbe and Competition frames was built with Nervex Professional lugs. As fashions changed going into the 1960s, many customers found our 1950s designs old-fashioned, we needed to launch a new model. John Rayner (shop manager from the 60s through to the late 80s) came up with the Gran Premo name and design, which was our answer to customers wanting an Italian styled frame. 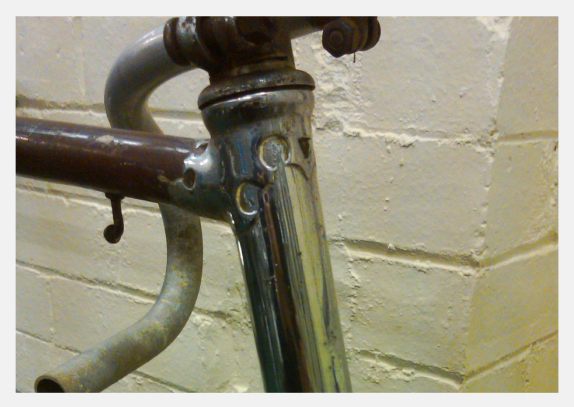 This frame featured Prugnat lugs, a deep Italian fork crown and “fast back” Italian seatstays. Most of these 1960s frames were built for Mafac centre pulls, which were popular at the time. In the picture of Danny Horton racing in the 1960s, he is aboard one of these very frames. If you look closely, you can see that the frame has Eclipse panels which were a feature of our frames in the 1960s. By the end of the 1960s many of these frames we’re built with Nervex Professional Lugs. Some customers still found our Ellis-Briggs transfers old-fashioned, so again we came up with an alternative. In 1965 John Rayner was responsible for coming up with Favori name, which then became the transfers of choice for racing cyclists. In the 1960s demand for our Superbe and International lugs had dropped but we started to build frames with Nervex Professional lugs as an option, which proved popular. Into the mid 70s and and the 80s our top of the range frame was the San Remo Super, which had Reynolds top of the range tubeset with Cinelli lugs which had cut-outs to the customers choice, such as the club in the picture opposite. During the 70s Jack Briggs had less time to spend framebuilding than he’d have liked as he had the rest of the business to run. So the search started for an apprentice to carry on the framebuilding tradition. After Paul Briggs decided it wasn’t for him, one of our mechanics Andrew Puodziunas, who had been working in the workshop since he was 14 was asked. Framebuilding suited Andrews personality perfectly. 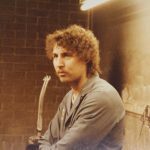 He was gifted with the brazing torch, had an eye for detail and had the patience to spend hours filing and thinning down lugs to the standard which Jack Briggs liked. Doug Fattic wrote to us asking if he could come as an apprentice in the summer of 1975. Over the previous summers, Doug had spent his summers bicycle touring around the UK and visiting many British framebuilders. One thing he noticed was that many British builders at the time had very basic workshops and put very little care into the final product. 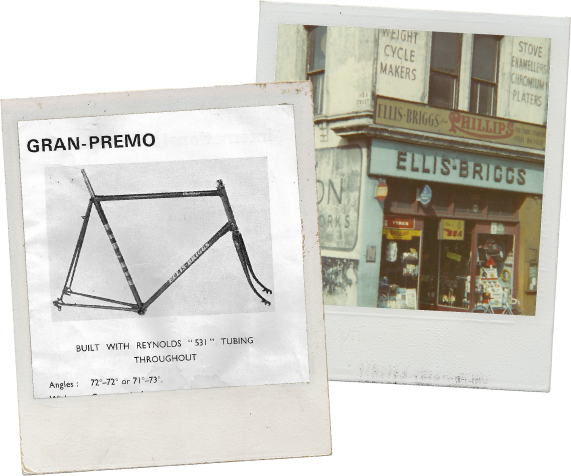 However both Ellis Briggs and Johnny Berry were prepared to spend the time building and finishing their frames to a high standard even if it meant that they couldn’t sell as many frames as more prolific builders. Even the most revered framebuilders of the 20th century mostly aligned their frames purely by eye, where as we have always had an alignment process which ends up with a frame in near perfect alignment. One of the aims of his trips was to find somewhere to come and apprentice. It was Johnny Berry of Manchester and Ellis Briggs who had really stood out, so Doug wrote letters asking both if he could come across from the states and apprentice. Unfortunately Johnny Berry had passed away not long after Doug had visited him in 1974 but luckily for Doug we accepted his request. 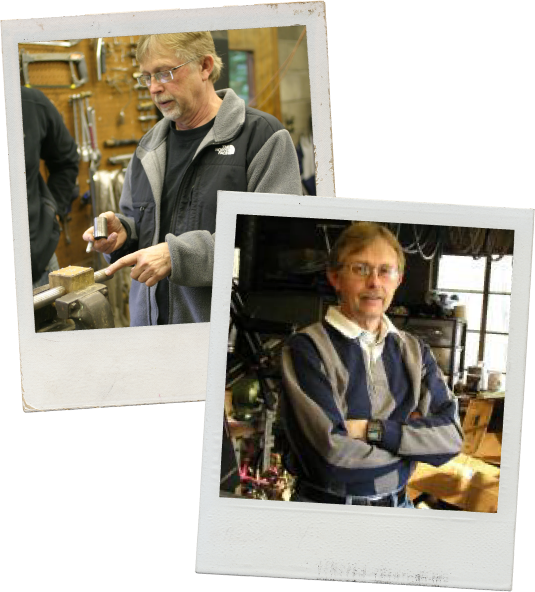 Doug has since gone on to become one of the best and most respected framebuilders in the US and has taught many other young aspiring framebuilders, in his workshop in Niles Michigan.